Chinook gear drives are made of hardened steel alloy, with spiral bevel gears lapped in pairs. Chinook gearboxes have 100% Timken B-10 tapered roller bearings that have a working life expectancy of 18,000 hours. This represents a life expectancy 10% greater than any current competitive gear drive. 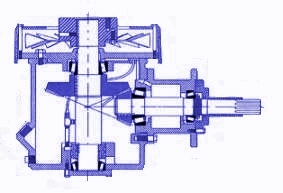 In addition to larger more stable drive shafts, Chinook gear drives are pressure lubricated and fan cooled. 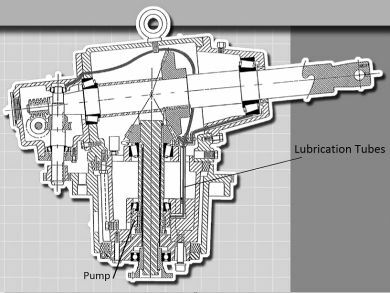 The result is oil temperatures that are at least 20 degrees Fahrenheit cooler and nearly twice the usable life span of the gear oil when compared to the competitions, simply due to the lack of heat related molecular break down.